Recently I was debating someone over the topic of romantic film vs. "chick flicks." The argument... is a romantic movie the same as a chick flick? My answer - absolutely not. "It's a film about happiness, and how we can be kept away from it. And how women are supposed to just shut up and take whatever they are put through. It teaches you to never give up your dreams, live by your own example and take your life in your hands. We can't just sit around watching life pass by. And when you get the chance - take it. And never apologize for being you." Skip the analysis ladies. Romantic films are one of my favorite genre because drama, comedy and romance cannot exist without each other.. For your future viewing pleasure, here are 21 of my favorite romantic movies - that's right - 21. These really aren't ranked in any particular order. I like each of these films and I could watch each of them at any time and be entertained. Now that I've exposed myself as a romantic, I think I'll tell my wife and then watch The Bourne Identity or something a little more masculine. When I was 19 I lived in a small village outside of Adana, Turkey. The village was positioned next to Incirlik Air Base and I did a remote tour of military duty there for one long year of my life. Shortly after arriving in Turkey I was moved off the base into a small village that boarded the installation. I lived in concrete house with no central heating or air conditioning. Many nights I needed candles for light when the electricity would cut in and out and it was either extremely cold or extremely hot. I arrived in May and thought I had flown straight into Hell. My plane landed and I was stuck on the tarmac waiting for a bus for only 15 minutes before I came to the conclusion that I had arrived in the hottest place I had ever been - and I was from Arizona. In the summer months the only way to fall asleep was to take the coldest shower you could and then lay in bed with a fan blowing on you. Hopefully you didn't wake up in the night... if you did it was tough to go back to sleep. The people in this village lived in extreme poverty, and although I lived among them, I was only minutes from entering an American air base where instantly I had all the conveniences of modern society at my disposal. Clean water, good food, medical treatment, entertainment and the military equivalent of Wal-Mart! With these things at my disposal, I was free to think of other things... exercise, education, goals and dreaming of what I would do once my time in the military ended. At work I did what everyone else on the base did - practice for war. Incirlik Air Base is a strategic location in the Middle East and fighter groups from all over Europe fly in, and fly out, practicing for possible missions. In recent years the various fighter groups that stage out of Incirlik have been running sorties in Iraq. In the 369 days I lived in Turkey I never met a Muslim extremest, and never felt threatened to be an American living in a Muslim village. How times must have changed in that part of the world. I can hardly believe it's been over 20 years since I arrived and left that place. The answer... in another post. Who Voted for the Dixie Chicks? I've been listening to country music since I was about 15 years old. Who was my favorite band? Merle Haggard and the Strangers. The first country album I ever bought was Alabama's debut, simply titled "Alabama." I was listening to Hank Williams Jr. before Monday Night Football ever discovered his rowdy approach to music and I have at least a dozen Chris LaDuex songs in my iTunes library. So I know a little bit about country music and country music fans are a special culture. So I have a question - who voted for the Dixie Chicks the other night at the Grammys? I doubt they were country music fans or part of the country music culture. The fact is the voters for Grammy Awards are people in the music business. Not fans. Is it possible that the "chicks" were the benefactors of a political statement by the Grammy voting base? Don't get me wrong, I like their music and can you help but get excited about their look and energy? They are special... but 5 Grammys? Their album wasn't a hit on the country charts so how could it have been THE BEST ALBUM of all the music that the Grammys encompass? I believe it was a political statement by the Grammy voting base - and that means someone else got the shaft. That's a shame. The incident that drove the DC's to country music outer darkness (and the top of the music world this week), was an issue of free speech. They can say anything they want about any topic they want from stage... however they can't demand their fans like what they say, not tell them to shove it up their skirts or not "boycott" their music. Responding negatively and boycotting are a form a free speech just as slamming the president is a form of free speech. We are all subject to negative responses from the people around us when we say things they don't want to hear. Can we say such things - absolutely. Can we demand everyone be "okay" with what we utter - nope. Sorry chicks, congratulations on the awards for what they are worth coming from other musicians that are politically like-minded, but too many of your previous fans are still not ready to make nice - with you. As the Democrats line up the best and brightest of their party I have to ask the question - is Hillary Clinton attractive? There are a number of articulate, bright, clean and "nice-looking" candidates, but are they as attractive as Hillary? An attractive candidate to me is one that "gets me excited" and really "sparks my plug" when I hear them speak or see them on camera. I'm not sure Hillary does that for me, but what about other voters? I took a poll in my office and asked my friend Jeff Nelson if he thought Hillary Clinton was attractive... he said NO really quick. As I turned to leave his office he said "are you okay man?" So that's proof there is some doubt as to the attractiveness of this candidate. Who's more attractive? 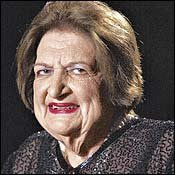 How about Helen Thomas... this woman could give Hillary a run for her money when it comes to attractiveness. Have you ever heard this woman speak? Her voice is like a soothing harp calling you to attention. Magnificent. If she wasn't an unbiased journalist, she'd make a great democrat candidate. It's been said that to attract attractive people, you must become attractive. These two women must be surrounded by beautiful people. However, is that enough to be elected President of the United States of America? What about Obama and that guy named Dennis with the strange last name? Are they attractive enough? The bar is being set pretty high and the bar is being set by the most attractive candidate of all - John Edwards. That's right, articulate, clean, bright, great looking and attractive. How attractive? 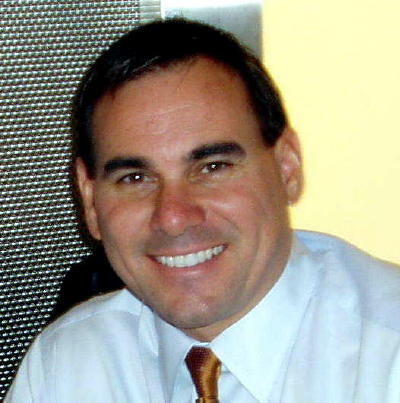 Attractive enough to be John Kerry's VP selection in 2004. He couldn't stand next to Kerry without being the entire package. I'm going to keep an eye on this race, in fact, with so many attractive candidates, I'm going to keep two eyes on it! Super Bowl XLI Prediction - "Colts Win!" 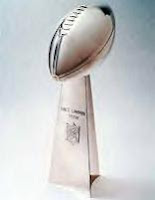 I'm predicting the Colts will be victorious Sunday and that the Bears will fall short this year of the Lombardi Trophy. Well the Bears are the underdog so you may think I've made an easy call, but too many people I've talked to say the Colts are going to get killed... That doesn't sound like an underdog position to me. 1. Peyton Manning - This guy is a class act. I'm not a Colts fan, in fact, I'm not a fan of NFL Football. I'm a college football fan, but when you see positive things in the NFL you take notice. Peyton Manning is one of those positive "things" happening in a professional sport where money and negative attitudes get most of the headlines. Peyton is due, Peyton is a great football player and Peyton is a good man. Finally, Peyton is going to shred the Bear's defense... he'll find the holes he needs to win. 2. Rex Grossman - Hot and Cold - end of story. I'm sure he'll do his best for the Bears, but his "best" has been very unpredictable. He's going down and his numbers won't be pretty Sunday. 3. The MacArthur Quote - Douglas MacArthur knew a thing or two about strategy and winning in the end. The Colts offense will out-perform the Bears defense. The Colts and the Bears battling for the Lombardi Trophy. It doesn't get much better than that in the NFL. I promise I will not take this post down even if my prediction is off - but it won't be - the Colts win this one by 14 or more points. PS - I wish the NFL would get rid of those Roman numerals! What is XLI anyway?